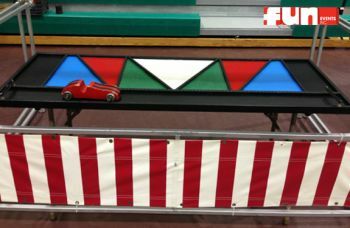 Your guest pushes the car into the bumper on the game board. When the car stops it points to a prize. Will be a winner every time. For all ages. Carnival Game rentals are a fun party idea for any special events, birthday parties, church festivals, school carnivals or fund raisers.